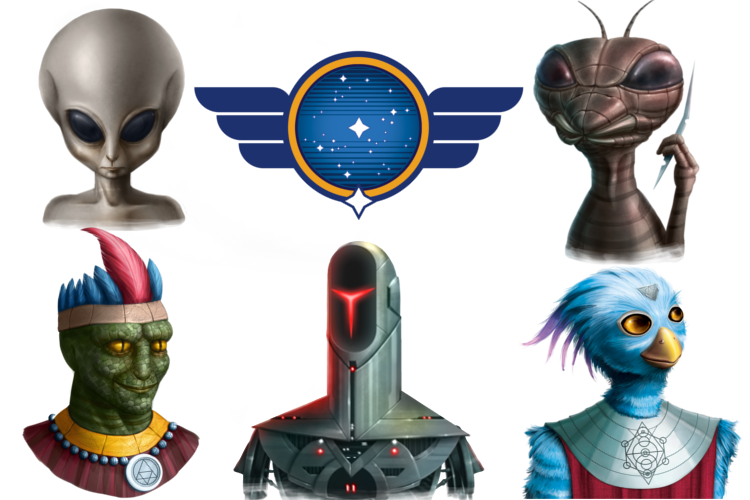 These are the star peoples of Galactic Era. Some are a single species represented with an image of such a being. Others are many different species working together, represented by a logo or coat of arms instead. Every player gets a star people which gives the player an unique special power or starting advantage in the game. Each star people is also played either on the dark (STS) or the light (STO) side with the appropriate consequences in the game. Some star peoples even give different special powers according to the side they are played on.